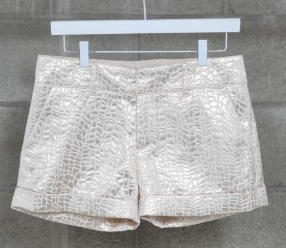 Love the super pale gold color of these embossed shorts - a great example of 'gilver!' Pair it with an oversized, flowed top and tall sandals for the perfect summer weekend look. But at Mikkat Market for just $38!